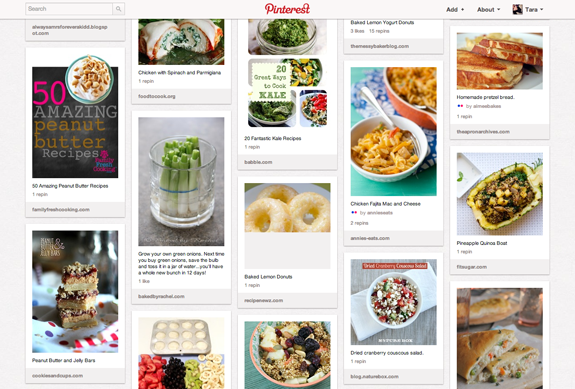 I really shouldn't be devoting an entire post to this particular Pinterest success story. I mean, the donuts were complicated, sure. But this...this is one of those things that will totally make you ask: "Why didn't I think of that?!" See pin, can you find it? There it is, folks. Stuck right in the middle. 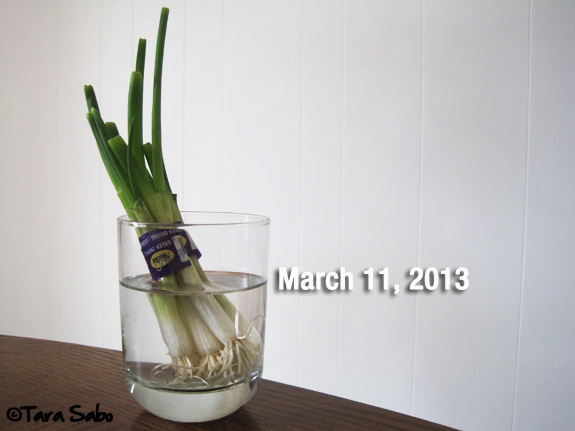 How to grow your own green onions. (Now you see it, right? Among some other delicious pins on my"On food and drink." board....) Do I even need to explain this pin? Didn't think so. I'll just prove to you that it really works. This was taken a day after I cut them. You can see where I cut them, and that they grew overnight. I took this picture today. I swear on my running shoes that it's the same bunch. I mean, these bad boys cost nothing at the store. But in my house, I'm the only one that eats them on any all things Mexican and/or salad. So I often throw away unused onions. Which means I'm spending money on something I'm not, in fact, using. But now I don't have to worry about that. 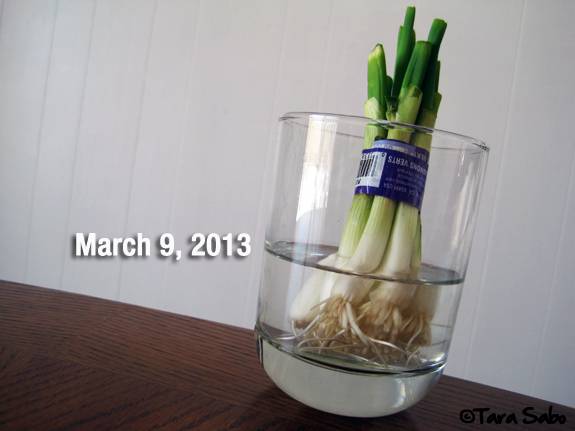 I'm growing green onions. If I don't use them in time, it will hurt me that I've let good food go bad, but I can feel a little better about it by snipping off what's bad so that I can wait patiently for more to grow. Or, look at it this way, if you eat green onions a lot, you can have your own little green onion patch on your kitchen sink! 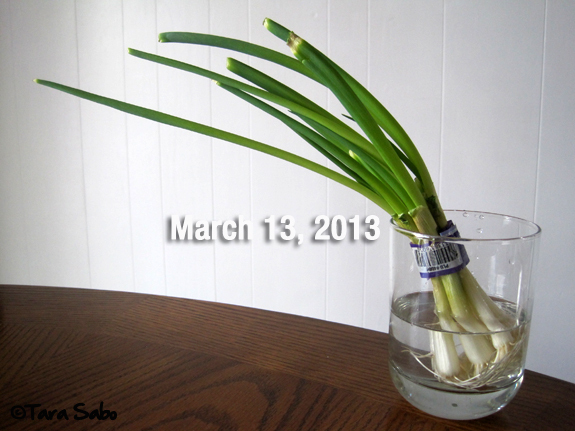 See how many times you can grow onions before you have to buy another bunch! Honestly, though. I wonder how long I can keep these guys growin'. Question: What's the last thing you discovered that made you wonder "Why didn't I think of that?!"